Laura and Maddy are nearly identical cousins. 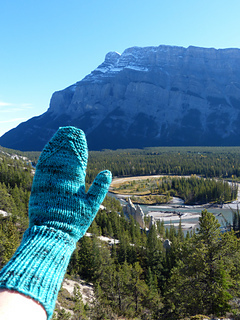 Laura + Maddy are nearly identical mittens. 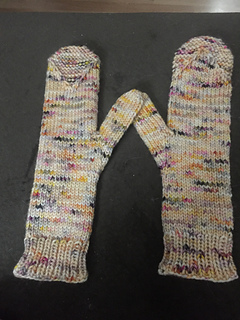 One has a “Valley” tip of textured stitches, and one has a “Mountain” tip of textured stitches. 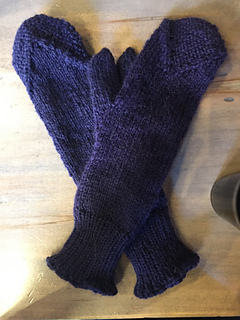 The mitts extend up the wearer’s arms to keep you warm on those chilly northwestern nights. 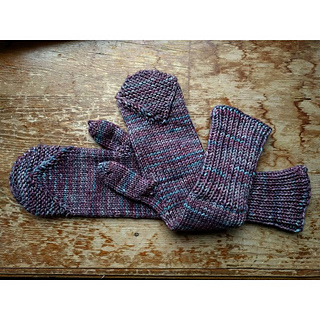 Knit entirely in the round, these mittens are nearly seamless and take only one hank of yarn. 100% superwash merino wool. 225 yds per 113 g hank. Shown in Tokyo. 1 (1, 1) hank. 18 sts & 22 rows = 4” in stockinette, blocked. 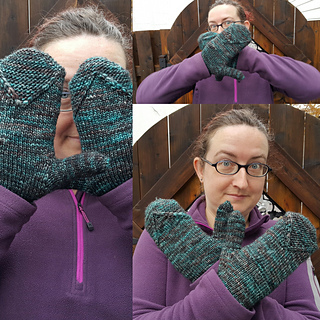 These mittens are like Laura and Maddy; very similar in appearance save for a small details. 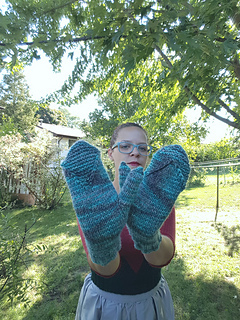 One mitt has a garter stitch texture on the tip described as a “Valley” and the other as a “Mountain”. 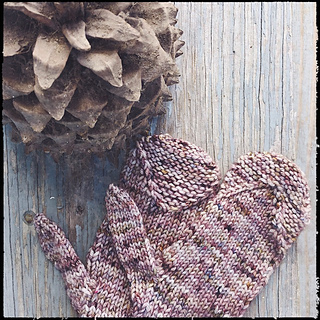 Aside from these details, both mitts are worked exactly the same.